The Internet of Things (IoT) is growing at a rapid pace in facilities management, primarily because of three core benefits — convenience, efficiency and automation. These benefits are wildly attractive to both facilities managers and stakeholders. Retail healthcare facilities utilize equipment varying from standard assets such as HVAC units and water tanks to advanced medical equipment that requires specific repair and maintenance, such as X-ray machines. IoT can be leveraged to monitor these critical assets, alerting FMs when functionality is deteriorating and requires attention. Sophisticated IoT systems can even generate work orders automatically if they detect that equipment needs servicing. For example, new IoT-based solutions continuously monitor MRI system performance, proactively identifying opportunities that could contribute to downtime prior to a downtime event. Such updates lead not only to greater operational efficiency and reduced maintenance costs but improved quality of patient care. Key equipment issues are addressed promptly so availability does not impact required service delivery. IoT can also control equipment to improve the efficiency of the healthcare facility and reduce human error. For example, connected refrigerators and freezers can automatically regulate temperatures to ensure blood samples, medications, and other materials are kept at the correct temperature, as well as alert FMs if they are not functioning properly. In addition, chips can be placed in packages as medication enters the building, and then near field communication (NFC) devices can track the location, temperature and humidity of medications over time while they are being transported. Then, with these IoT devices strategically located across the facility(ies), they can detect and read sensor data from the chips, monitoring the medication’s temperature and humidity while in transit, ensuring the medication was not exposed to degrading conditions. Security is a key aspect of healthcare facilities managers’ jobs, as they are responsible for keeping expensive equipment and patients safe. IoT technology can enhance facility security by making it easier for FMs to track what and who is coming in and out of their buildings and when. IoT-connected medical facilities are also able to keep track of where equipment is within the building and locking down if unauthorized assets venture too close to exits. This method prevents equipment theft and alerts building managers if there are asset security concerns, whether they are physically on-site at that time or not. In addition to asset and material tracking, radio frequency identification (RFID) technology can be used to authenticate users at retail health facilities. Managers can authorize NFC tags for approved entry or exit at specific times and locations, which makes it easier to keep unauthorized visitors out. Having FM operations connected to the IoT means that the network is constantly collecting, storing and analyzing facilities data. This data can be translated into trends, patterns and insights through analytics. Leveraging facilities management analytics gives retail healthcare FMs enhanced visibility into equipment, spend, contractor performance, sustainability and work orders. This enables data-backed decision-making that can boost efficiency, reduce spend and improve contractor performance. FMs can see where bottlenecks are occurring within their operations and find solutions. Through analytics, FMs can also set KPIs for IoT to track progress automatically. IoT is still in the early stages, and will continue to expand in capabilities. It is therefore crucial that retail healthcare FMs keep abreast of new developments to ensure that their facilities are always taking advantage of the most advanced technology. It’s also critical that their facilities management platform be based on an open architecture, enabling connecting to all the new IoT-based and connected devices coming to market. 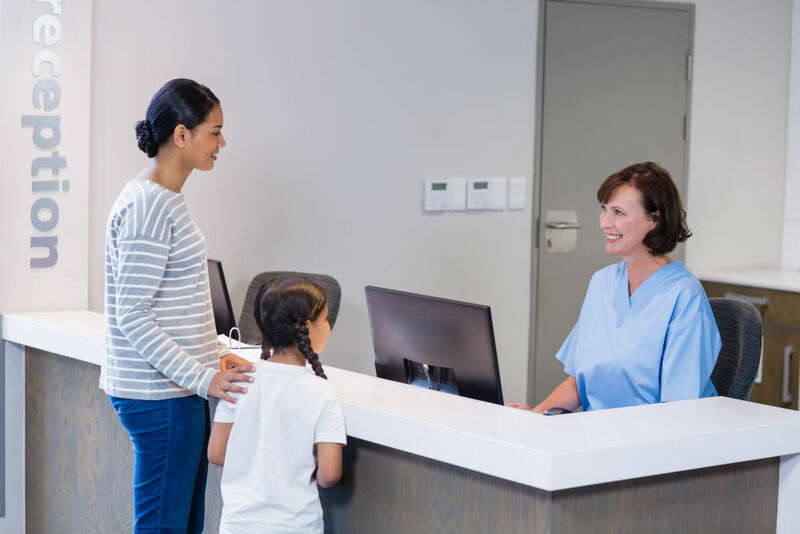 IoT adoption may require time, resources, and growing pains, but this technology can improve the efficiency and effectiveness of FM programs, thereby reducing costs and improving the patient experience. Learn more about optimizing facilities management processes in retail healthcare.